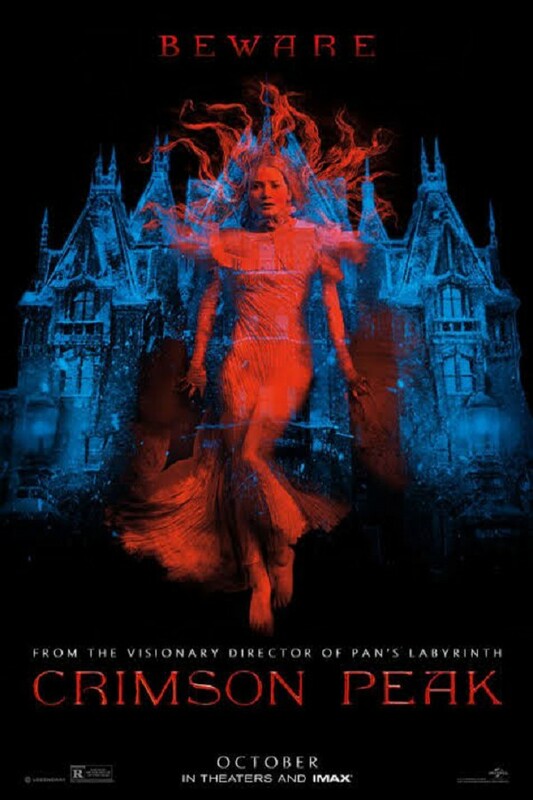 Went to "Crimson Peak" Wednesday night. Good movie with a couple of flaws in my opinion. Good acting by Mia Wasilkowska, Tom Hiddleston and Jessica Chastain. The directing was good. Some good plot twists. My only complaint was what I thought to be gratuitous gore. I can handle some violence but not too much gore. It is somewhat of a ghost story and love story. Very old style and gothic. Even the photography is old fashioned. It takes place around the turn of the last century. A young lady writer is trying to sell her stories and keeps getting turned down 1 because she's a woman and 2 she has a ghost in them. She experiences some tragedies in her life but still falls in love. I really don't want to say much more to keep this review "spoiler-free". It is spooky but not as much as I thought it would be. Altogether a good show. So go. Get scared. Eat popcorn.